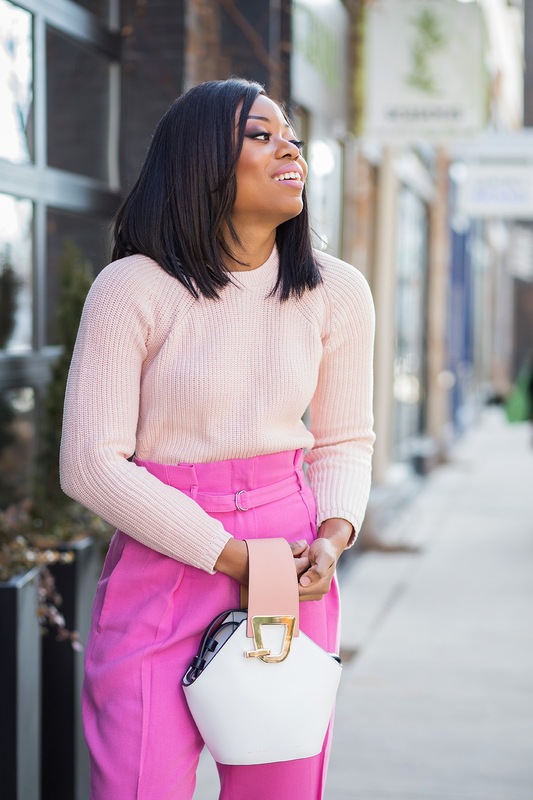 With Valentine's Day around the corner, I wanted to style different looks this week on the blog to showcase outfit inspiration for Valentine. 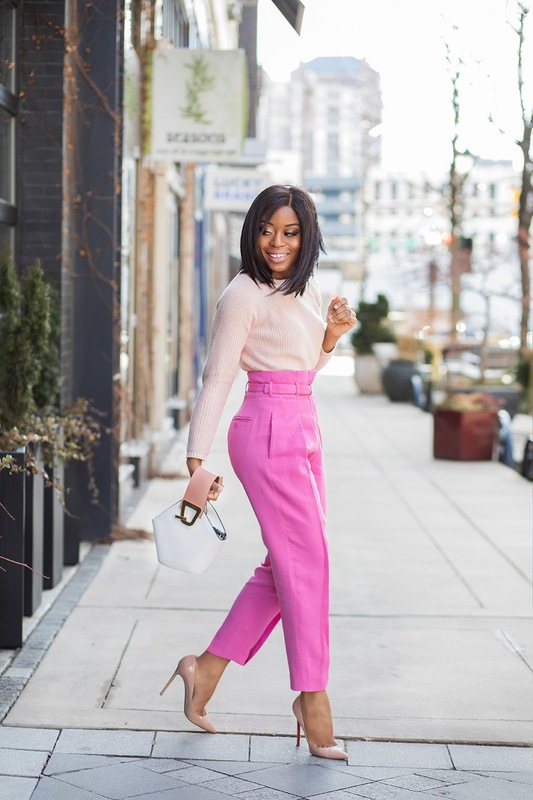 Pink being one of the colors synonymous with Valentine's Day, this look showcases a chic way to wear pink for Valentine's Day without going overboard with the color. Today's look is a subtle way to mix different shade of pink for Valentine's Day and beyond. Lately, I have been a fan of high-waisted or paper bag pants and the fit of this pants is amazing. Paper bag pants have a way of accentuating the waistline. 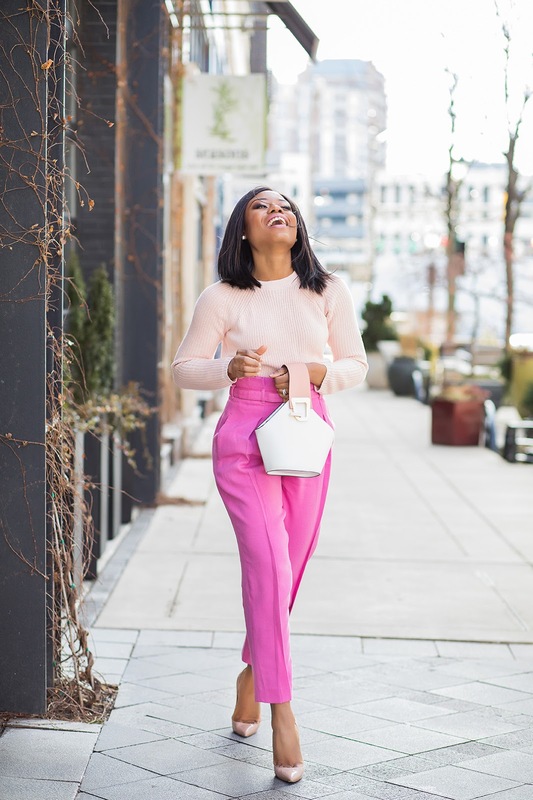 With the bold pink color of this pants, I wanted to tone down the look by pairing it with pale pink tones. The addition of pale pink and beige colors create a subtle pink look for Valentine. A beautiful way to mix and match pinks! Yes! The different shades of pink.....flawless!!! !